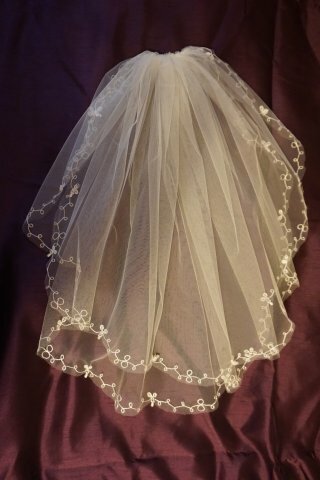 Ivory honeycomb veil with two tiers. Gentle scallop up to comb. 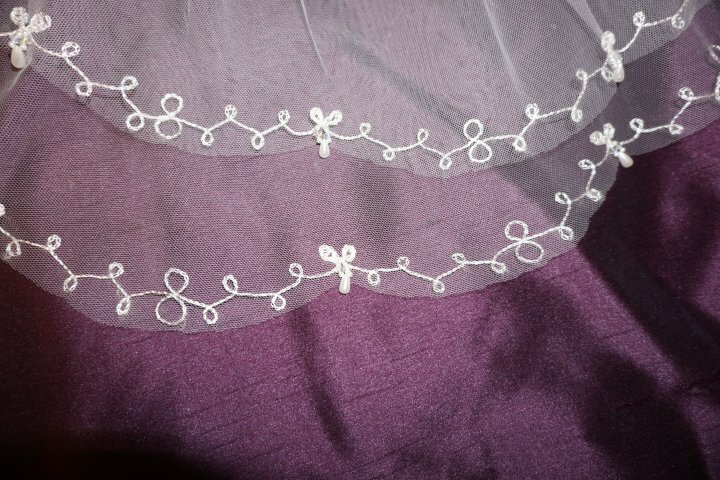 Ivory chain stitch with circle of pearls/crystals and single larger drop pearl at each peak.